Here I parked at the Casa Grande RV Resort. It’s pretty typical of the Arizona resorts that cater to the snowbirds. Casa Grande is located south of Phoenix. When we came through this part of Arizona earlier in 2016, we stayed in Eloy (south of Casa Grande) and in Mesa, AZ, which is east of Phoenix. 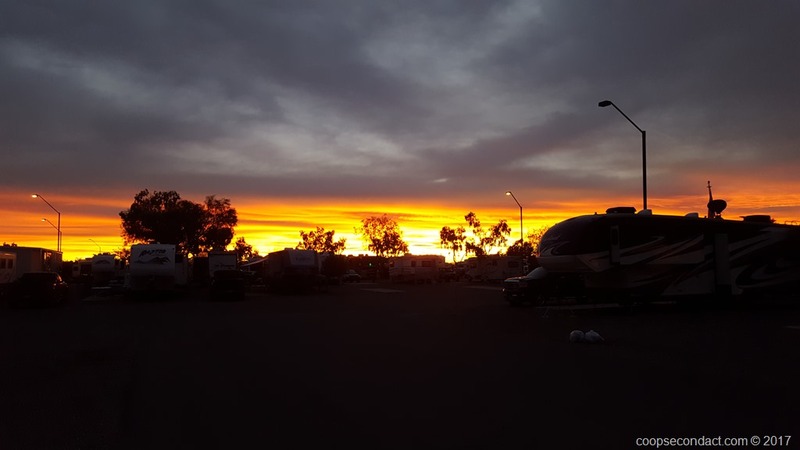 This photo doesn’t quite capture the moment, but this is sunrise from the RV park.